Marlen International, Inc. [“Marlen”], a global manufacturer of highly engineered food processing equipment and systems, and a subsidiary of Chicago-based Duravant LLC, has acquired Afoheat – an innovative provider of gas powered heating, roasting, searing and grilling equipment solutions for the food industry. Headquartered in Veurne, Belgium, Afoheat has built a strong reputation with food processors in many parts of the world as the premiere provider of efficient, reliable, sanitary and flexible solutions for searing, char-marking and grilling of high quality food products on an industrial scale. Afoheat’s product portfolio is a natural extension of Marlen’s thermal processing solutions which includes batch ovens, chillers and dehydrators. Afoheat’s offering consists of continuous gas powered infrared and direct flame technologies which enhance the appearance, aroma and taste of value-added food products such as meat and poultry, fish, vegetables and baked goods. 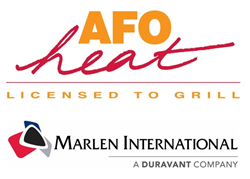 “Our team at Afoheat is very excited to be part of the Marlen family, which, through their considerable resources, will help accelerate our growth and original vision of becoming a worldwide leader in our niche in the marketplace,” says Wim Clays, Managing Director of Afoheat. Afoheat will join the Marlen family of distinct food industry brands, thereby retaining their well-established brand position in the marketplace. The company will continue to be based in its current manufacturing, sales and test facility in Western Belgium, which will serve as a Europe-based extension of Marlen’s manufacturing footprint and World-class Solution Center.  The Afoheat product portfolio will be available to all Marlen customers and channel partners globally. Marlen International is a premium manufacturer of highly engineered food processing equipment and systems specializing in high quality proteins and a variety of other food products. Sold under the brand names of Marlen, Carruthers and Afoheat, their products have long set the standard for performance in pumping, stuffing, portioning, size reduction, thermal processing and food handling. Marlen’s engineering, design and technical experts are recognized as industry consultants and process partners, serving the world’s leading food brands through the delivery of operational excellence for over 60 years. Marlen International is a Duravant Company. Headquartered in Downers Grove, IL, Duravant is a global engineered equipment company with manufacturing, sales and service facilities throughout North America, Europe and Asia. Through their portfolio of operating companies, Duravant delivers trusted end-to-end process solutions for customers and partners through engineering and integration expertise, project management and operational excellence. With worldwide sales distribution and service networks, they provide immediate and lifetime aftermarket support to all the markets they serve in the food processing, packaging and material handling sectors. Duravant’s market-leading brands are synonymous with innovation, durability and reliability. Visit http://www.duravant.com.